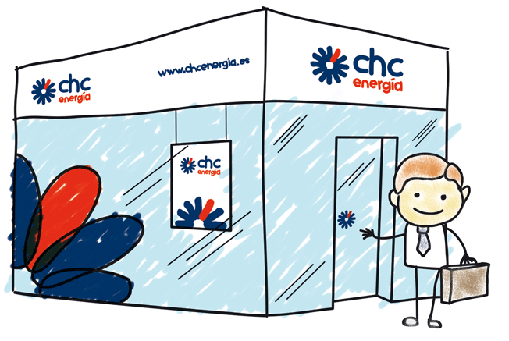 CHC Energía was born in 2009 from the association of two organisations that complemented each other to create a leading company. IDE SERVICIOS COMERCIALES, a company that grouped together the sales activities of over 200 small electricity distributors, which contribute closeness to the customer, experience in the human relationship and excellent service. A service that is continued and recognised by the residents of the town to which it has spent decades providing energy to households, businesses, industries. EDP Energía, is a company that belongs to the EDP group and that has presence throughout the value chain of electricity and gas sector, leading Spanish customer satisfaction rankings. The company, whose origins date back to early 20th century, brings its experience right from the beginning to the market liberalised in 1998 for the sale of energy, access to competitive electric power and the most advanced customer management technology. From this merger a new company was founded, CHC Energía, with the strength of the best service to its clients, with the utmost experience in marketing and with highly competitive offers. Because we want to stay by your side. Simply, very close. 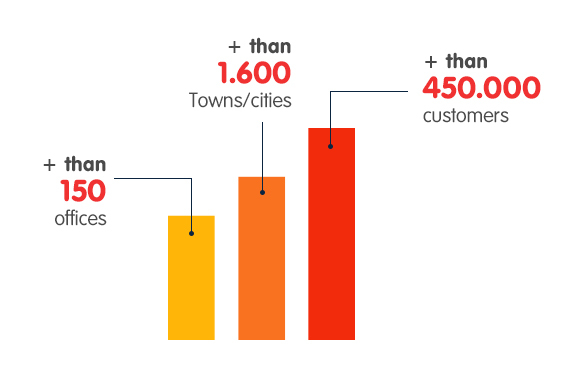 CHC currently has more than 150 offices, it is present in more than 1,600 towns/cities and has more than 450,000 customers.